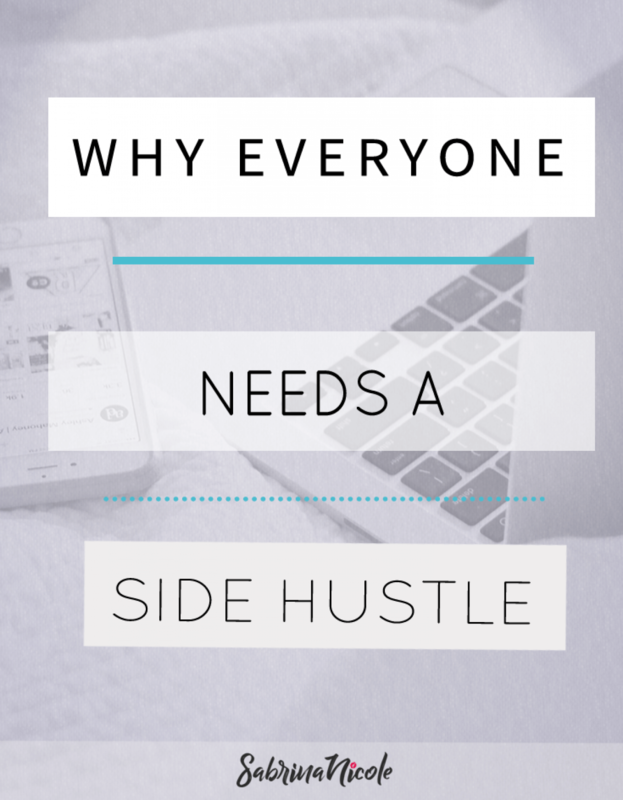 Why everyone needs a side hustle? Everyone wants to earn more money, right? We usually don’t have only one goal in life, that’s why we’re busy, we have a lot going on. One of those things should be a side hustle. For example, I work full time, maintain this blog, beauty website, beauty clients, online courses and probably a few other projects because I’m ambitious. A common theme here with most ambitious people, is they don’t settle. If the only thing in my life was my full time job I wouldn’t be happy and wouldn’t have much inspiration for other aspects of life. Why be that person, be the ambitious, confident woman who has projects going and is constantly trying to be even more successful. Ambitious people are financially independent and that means it’s a clever idea to have back up incomes just in case you lose one. For me, that’s my beauty clients. If ever something happen with my full time job, I at least know I have something to fall back on and focus on should the worst happen. You may be wondering why you should have a side hustle in the first place. Here’s some reasons why you should have one. You get to work on your passions before and after your main 9-5 job. Focus on something else that truly sparks the mind and you can pour your heart into it. You may be good at the 9-5 position you have, but you aren’t really eager, anxious or you don’t wake up feeling excited about what’s to come. The side hustle helps explore your passion. We might hate to admit it, but having money matters. With side hustles, this gives additional sources of passive income. These sources of cash flow can provide extra expense coverage to use for life experiences. Maybe those items you sold on eBay can cover your food shopping for the month or the profit you made from your handmade jewellery sales can put fuel in your car. Either way you have extra cash that wasn’t accounted for initially, that you might have been able to do at home. Adjusting your hectic day so you can squeeze in a bit of your side hustle will pay off in the long run. Time management is an important benefit. Fitting in your side hustle gives you a new way to prioritise your commitments. Overall you’ll find a better way to block off your time giving you a more organised life. Having a side hustle builds skills. Maybe you want to start a business doing something you have little experience in, therefore you’ll need to learn something new. Doing side hustles will help you develop skills such as building a blog, marketing, money management, Photoshop, and gaining a social media following. Skills such as those will allow you to grow, learn and improve your skills which is always a good thing. I no longer experience creative blocks or burnouts because I’m constantly challenging my mind and keeping it in shape. Having a side hustle means I can constantly increase my creativity. 2. Figure out your strengths. What type of side hustle? & so much more! The possibilities are endless. Putting all your eggs in one basket is not always the smartest thing to do because you just never know what the future holds. Starting a side hustle certainly has its ups and downs, but if it were easy, everyone would be doing it. Building your empire around a full time job is not easy but it’s more doable than ever if you’re willing to put in the work. Putting yourself out there is not very attractive to some or the easiest thing to do.I have struggled with this myself but the pros outweigh the cons and that is why I have chosen to share why everyone should have a side hustle. I want to know: why are you side hustling? Or, if you’re not side hustling yet, what makes you want to start a side hustle?